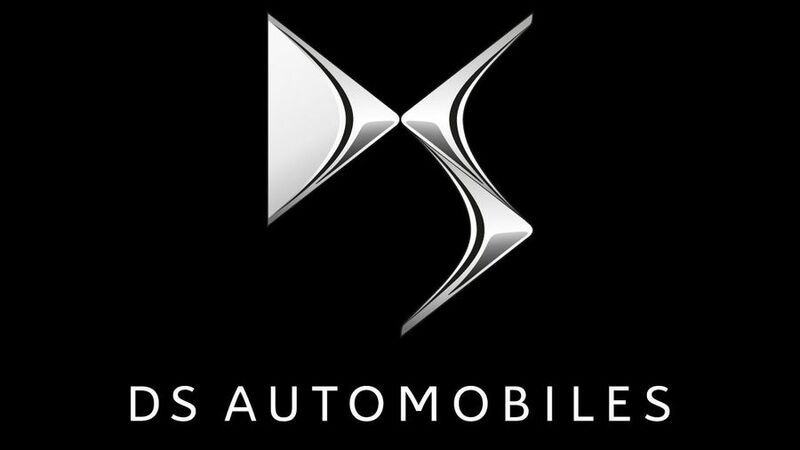 Not familiar with DS Automobiles? We’ll forgive you, as it’s one of the UK’s newest car manufacturers. But it’s bringing out new models at a rate of knots, so this is our guide to a brand that aims to bring you French style and premium quality without stretching your wallet. DS is part of French brand Citroen, which started using the DS name on some of its more premium models in 2009. In 2012, Citroen launched DS as its own brand in China, and in 2014 did the same thing in Europe. The name harks back to the classic 1955 Citroen DS 19, a car that embodied French avant-garde motoring. 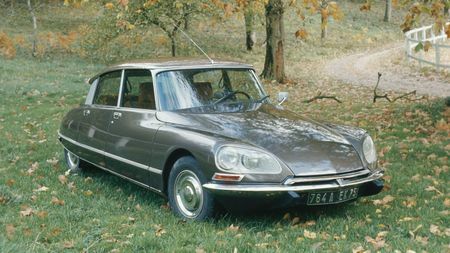 Further DS-badged Citroens followed through the 1960s and the first half of the 1970s, and today are considered design icons. It’s that heritage that inspired today’s DS Automobiles. 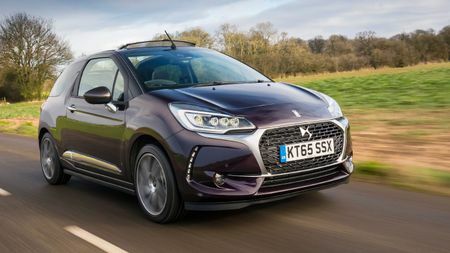 The DS 3 was originally badged as a Citroen when it was introduced in 2009, but ditched the Citroen name when it was given a facelift in 2016. It’s a small hatchback that aims to rival other premium-edged cars, such as the Mini and Audi A1, rather than other similar-sized cars like the Ford Fiesta. 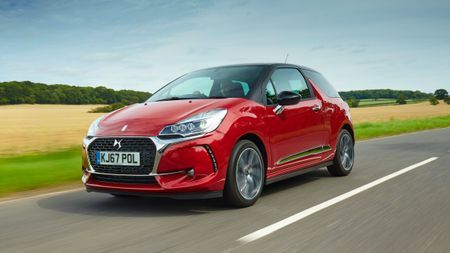 The DS 3 is available with a range of petrol and diesel engines, in a variety of flavours, including the DS 3 Connected Chic – which includes technology such as a key that will let you pay for things using contactless – and the sporty DS 3 Performance Line. 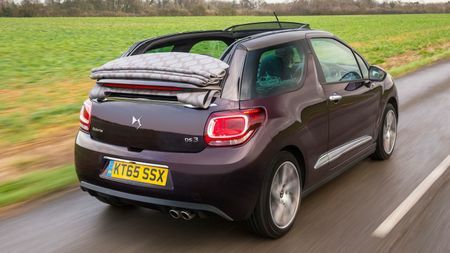 As the name suggests, the DS 3 Cabrio is a top-down version of the DS 3, with a fabric roof that slides back, more like a big sunroof than a full convertible. 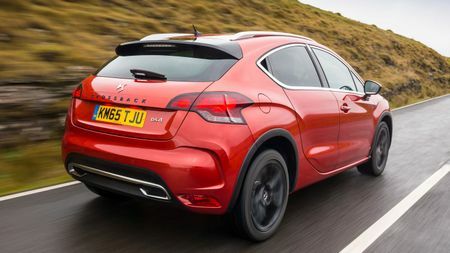 Like the hatchback version, it comes with a range of personalisation options and models that vary in character, from performance to technology to luxury. 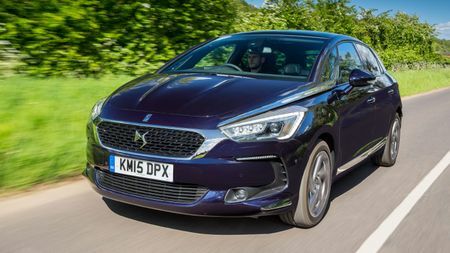 The DS 4 is another car that started life as a Citroen before breaking away under the DS brand. First launched in 2010, it’s been a DS since 2015 and rivals hatchbacks like the Audi A3 or BMW 1 Series. It’s got some unusual looks, which veer towards style over practicality. Three trim levels are available – Elegance, Performance Line and Prestige – all of which come with a decent list of features. A selection of diesel and petrol engines are available, all of which have a decent level of power. 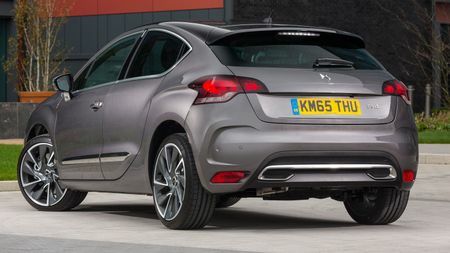 The DS 4 Crossback takes elements of an SUV and applies them to the DS 4 hatchback, giving it a higher stance and softer suspension. It has three trim levels – normal, Terre Rouge and Moondust – all of which are well appointed, but the number of features increases with each version. The engine choices are spread over a single petrol engine with a manual gearbox, and two diesel engines with either 120 or 180 horsepower. The latter comes only with an automatic gearbox. 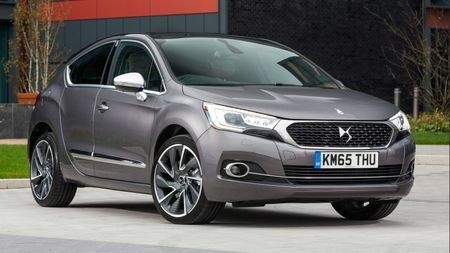 The DS 5 targets rivals like the BMW 3 Series and Mercedes-Benz C-Class, but stands out from the crowd with its unusual looks, particularly its hatchback boot. It comes in three trim levels – Elegance, Performance Line and Prestige – all of which are well equipped, and aren’t too far from each other in price. Engine choices consist of three diesels with 120, 150 or 180 horsepower, or a 165-horsepower petrol option. The latter two are only available with automatic gearboxes. 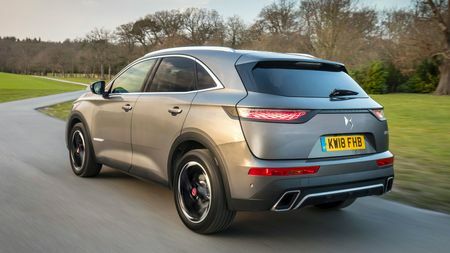 The DS 7 Crossback is a mid-sized SUV, much like the Jaguar E-Pace or Volvo XC40. 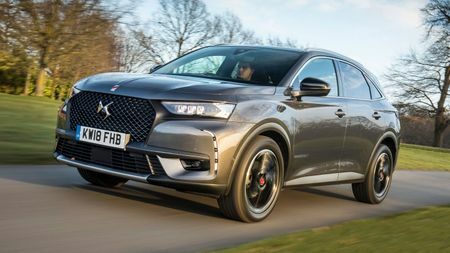 It’s the largest car that DS makes – hence the larger number – and comes in well-equipped trims, from Elegance to Performance Line to Prestige, and with an Ultra Prestige as the all-bells-and-whistles model. There are three engine choices, all with a bit of welly behind them. 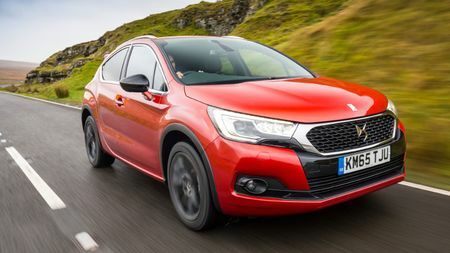 The diesel options come with 130 horsepower and a manual gearbox, or 180 and an automatic, while the sole petrol option has a very pokey 225 horsepower, and also comes with an automatic gearbox. 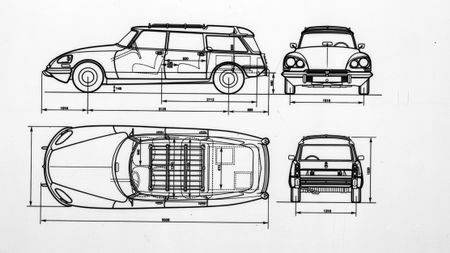 Like all car brands, DS likes a bit of marketing speak, so let’s cut through some of the nonsense with this glossary. BlueHDi: DS’ name for its diesel engines, named in part for the AdBlue additive that helps reduce emissions. DS Assistance: DS’ accident and breakdown service, which offers free assistance in 44 European countries. DS At Your Service: The helpline number for DS customers. DS Club Privilege: A private members’ club for DS customers, featuring events and offers. You can only join within six months of your new DS delivery, and membership is valid for five years. DS Commandes Speciales: A bespoke customisation service for DS customers that want to go a bit further than the standard options list. And are willing to pay for it. DS Rent: A DS car hire service. DS Valet: As the name suggests, a service that will send a valet to pick up and bring back your car when it needs a service. MyDS App: A smartphone app for iOS and Android that connects to your car, offering a range of services from letting you know where you car is parked, your mileage, fuel consumption and more. 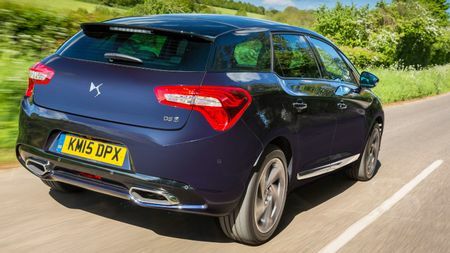 PureTech: The name given to DS’ turbocharged petrol engines.